While human development is increasing at alarming rates, some of the oldest species on our planet are struggling for survival. Fragmentation and destruction of habitat is only one of the causes of this tragic turn of events. Another is the delicate ‘circle of life’ that rolls out of control once man has intervened. Both these factors are affecting one of Belize’s oldest living species… the crocodiles. This past weekend the American Crocodile Education Sanctuary (ACES) visited one of the most unfortunate habitat problems faced by threatened American crocodiles on Isla Bonita today. Encroaching development is pushing the croc populations into unsuitable habitats. While some local developers are working with ACES to relocate these non-problematic crocs, many crocs are moving themselves and ending up in areas where not only their survival is compromised but the survival of their young is unfeasible. Additionally, the ‘circle of life’ of crocs and their prey on Ambergris Caye is out of balance. When poachers and scared homeowners kill a crocodile, either for personal gain or out of fear, they are not only breaking a Belize Law, but they are upsetting this ‘circle of life’ by killing an apex predator. Apex predators, those animals at the top of the food chain, are keystone species in that they keep the balance of nature in order. Crocodiles keep fish populations healthy, the same fish that locals depend on for food and tourism. Without the crocs, these fish would over produce to a point where they become unhealthy, unfit for consumption, and run out of food. Ultimately, an entire species of fish could eventually die. This past weekend ACES discovered a very sad situation due to another one of crocodiles’ prey that is out of control on the island due to the low number of crocodiles in the area… raccoons. Raccoons not only are a nuisance and carry life threatening diseases communicable to humans, they also eat crocodile eggs. On Monday, April 9th, ACES discovered and documented four American crocodile nests at an extremely unsuitable habitat location: the local sewage plant. Three of the four nests were already raided by raccoons. 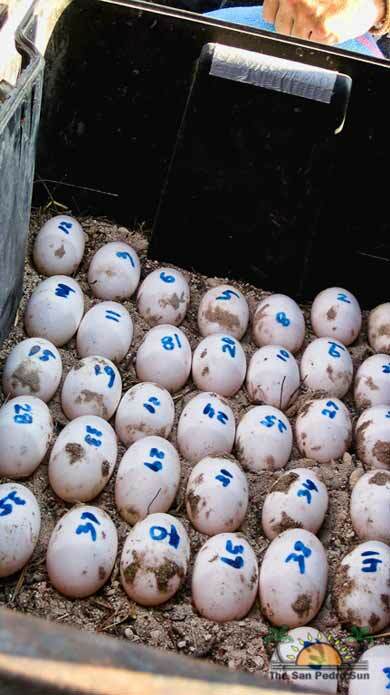 Under the authority of the Belize Forest Department, ACES collected all remaining potentially viable eggs for hatching in captivity. Two of the nests sustained a total loss of all eggs. Eggs collected from one nest yielded 20 potentially viable eggs and the last nest contained 35 fertilized eggs that now have a chance of survival. 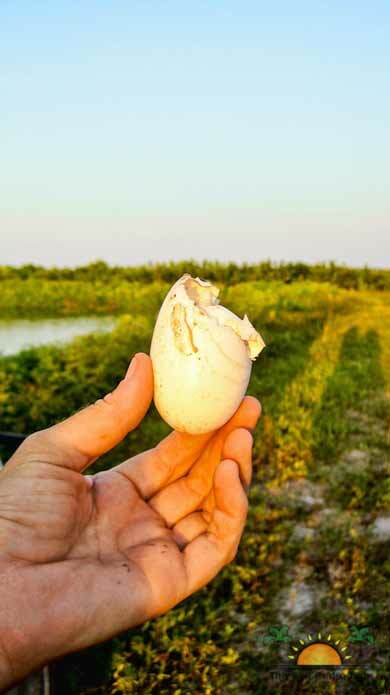 This year, American crocodiles are laying an average of 35 eggs per nest here in Ambergris Caye. Out of each nest, in optimal conditions, less than 1% will survive to reach sexual maturity. That means it takes two successful nests to hatch to get one croc that will eventually reproduce. And, that is when everything is in their favor. Mother Nature can not take her course when humans intervene. Mother Nature never intended for crocs to be living in sewage treatment ponds. This is not healthy for the self sustainability of the population. Besides the effects of the chemicals present, fish, shrimp and crab, the croc’s primary food sources and supply of nutrition are not available in the sewage ponds. The crocs have become cannibalistic out of a need to survive, often feeding on their own young. Considering all of these unnatural forces working against the life cycle of these displaced animals, a zero survival rate is projected for these eggs without our help. We are taking ever precaution possible to ensure the successful hatching of the rescued eggs. 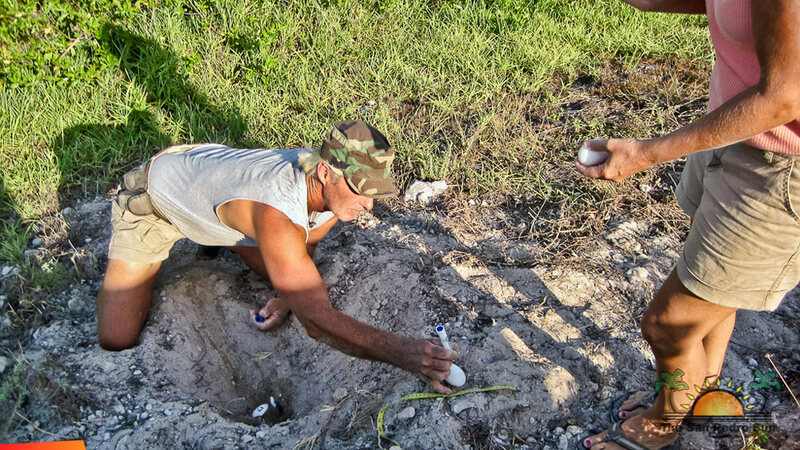 Finally, several eggs from recovered nests were already cracked. 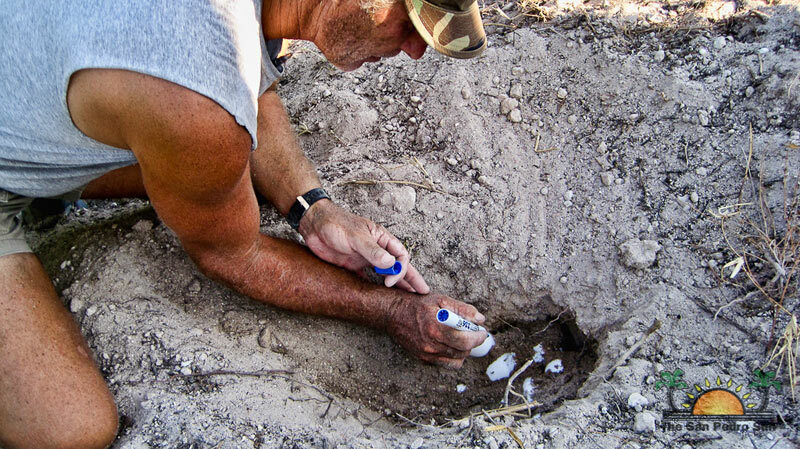 These eggs, estimated by band width to be approximately three weeks old, were collected but not counted as viable. We believe these eggs cracked during the laying process, which indicates thin shells. This could be due to toxins ingested by the adults, much like DDT effects the egg shells of the endangered California Condors. 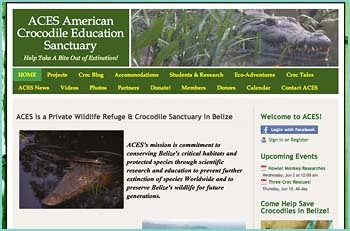 ACES has collected tissue samples for toxicity testing from crocodiles throughout Ambergris Caye, and is also currently working on a solution to the sad situation of crocs living in the sewage ponds. To find out how you can help, please call Vince or Cherie at 631-6366/ 666-3871, email: [email protected], or visit AmericanCrocodileSanctuary.org.